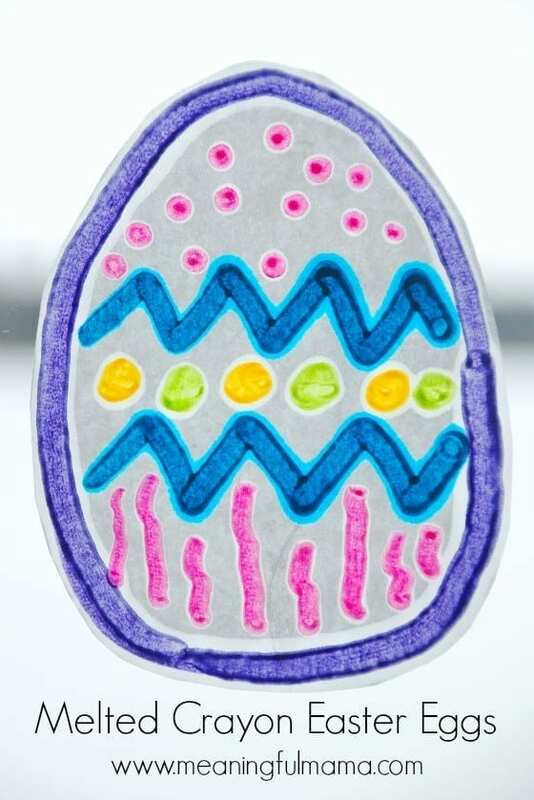 Are you looking for a great craft for Easter? 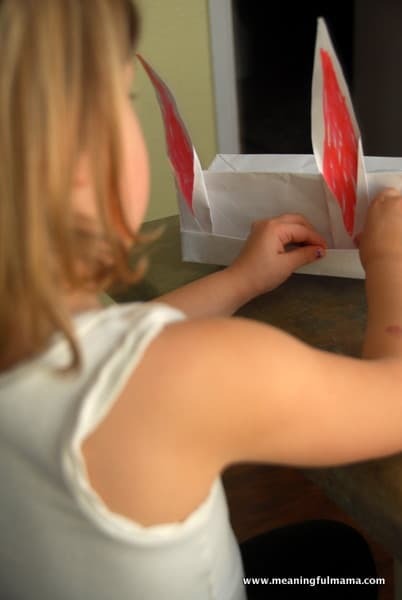 Making bunny ears out of a paper bag – fun Easter craft that is both easy and adorable. 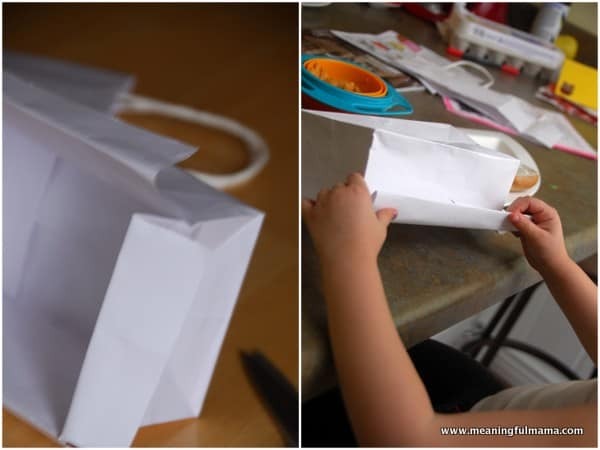 They are made from one paper bag (plus a little ribbon and tape), how simple is that? 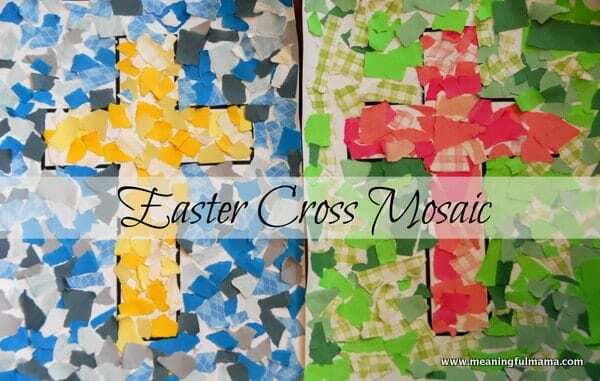 This is a great Easter craft for kids of all ages. 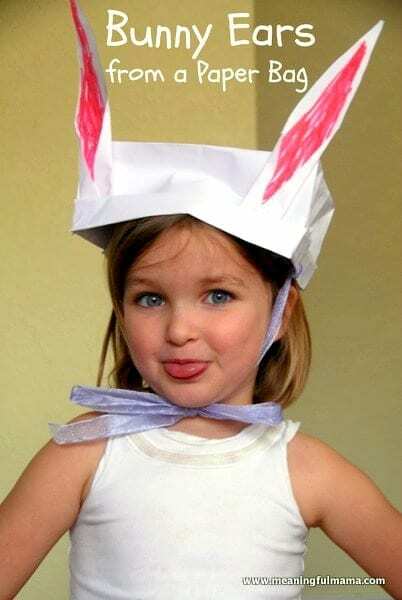 Looking for another fun bunny craft? Check out my Q-Tip Rabbit. I had purchased these white paper bags at the dollar store a while ago. They are bigger than a lunch bag but smaller than a grocery bag. You’ll just want to make sure it will fit nicely on your child’s head. Remember, you can have brown bunnies too. You can use paint if you want a specific color bunny but can only find a particular color bag. The white should be simple to find. I drew a line about 6-8 inches from the bottom of the bag. Kenzie was able to cut straight across on this line. The next step is to cut the corners of the bag. I drew a little mark about four inches from the open part up the side on each corner. 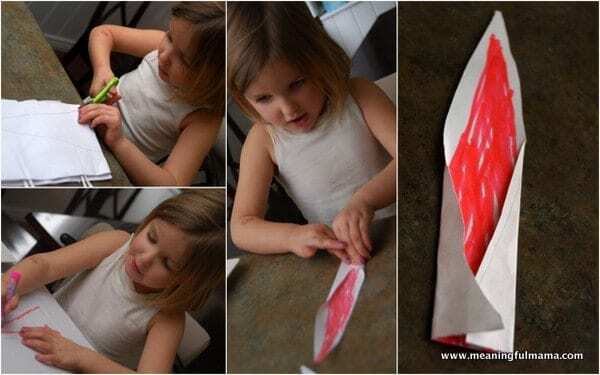 Kenzie was able to cut each slit. Now it’s time to fold. 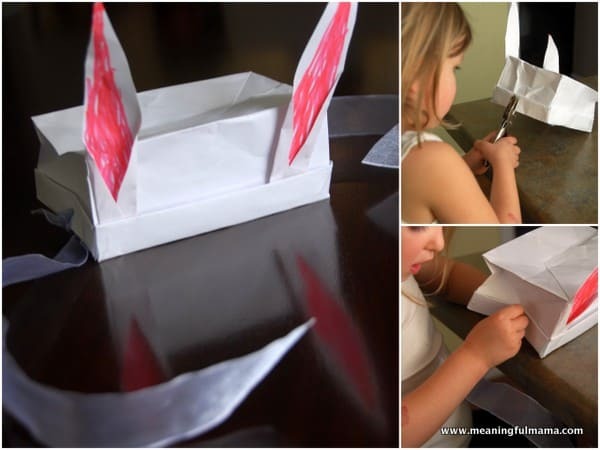 Fold each side up once 2 inches and then one more time 2 inches. You’ll have a 2 inch fold over flap and 2-4 inches on the top. 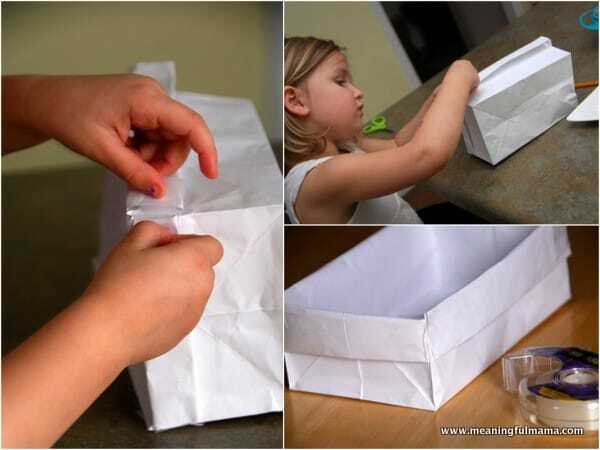 Put tape in each of the corners to hold it in place. I had Kenzie put two pieces for reinforcement. The next step is to use the other part of your bag to cut out two bunny ears. I just cut the bag in two parts, eliminating the sides of the bag. I drew a tall triangle on the paper and had Kenzie cut it out. Then, Kenzie colored the inside of the triangle, keeping a little white border. 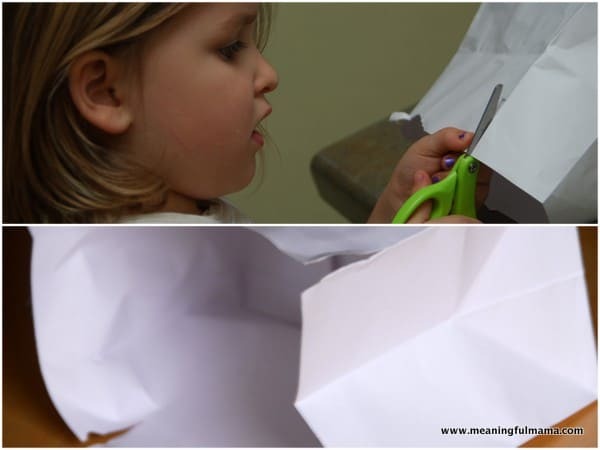 Next, fold in the sides of the triangle at the bottom. This gives you the look of the bunny ear. 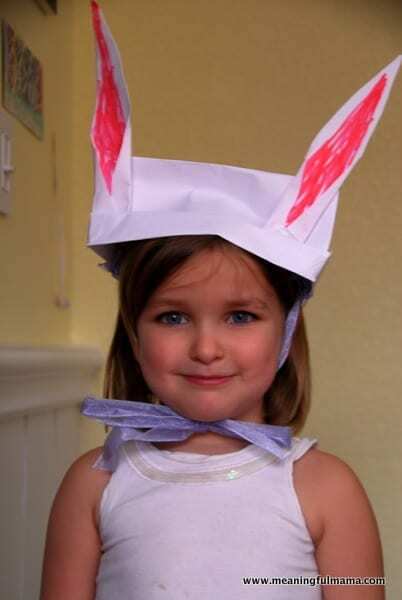 I rolled over some tape and stuck it to the end of the bunny ears. 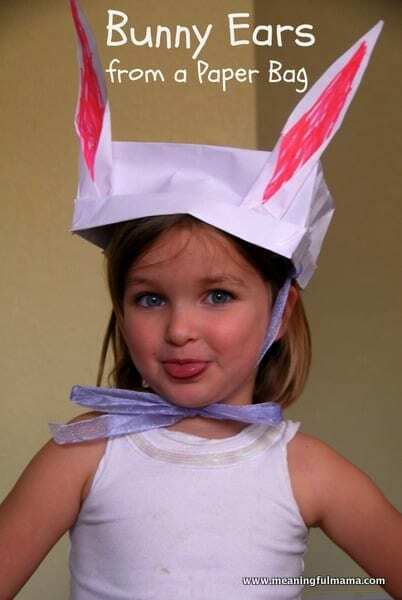 Kenzie then slid the bunny ears into the slits of the hat, as shown. 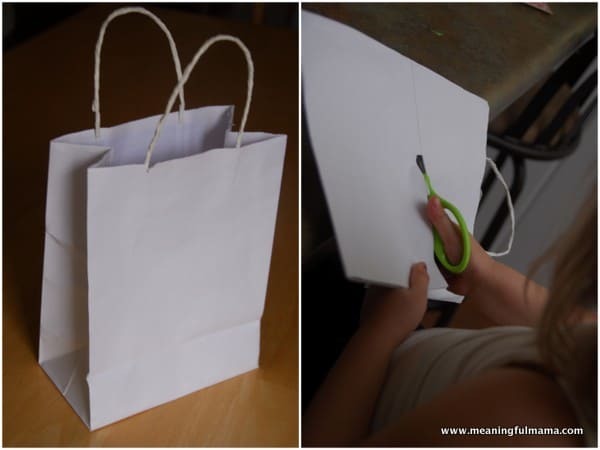 The final step is to hole punch the sides of your bag. Thread a ribbon into that hole and tie it off. Note: This post was originally written in March of 2013, but was updated in 2018. 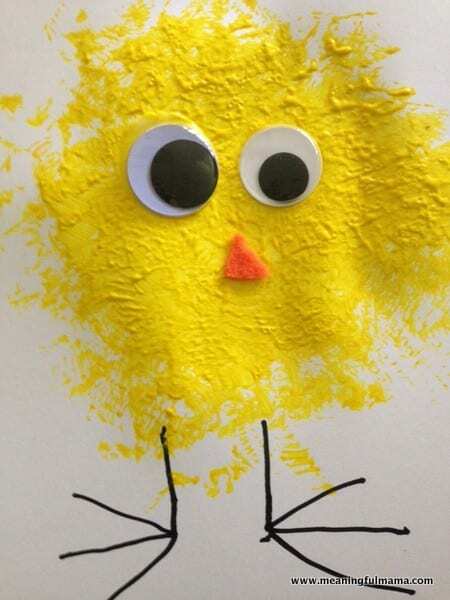 Looking for More Great Easter Crafts? Super cute! I love the simplicity of it too; perfect for an Easter party! Yeah! How did it turn out? I really hope it was smooth and fun. I loved doing this one. Thanks for coming by!